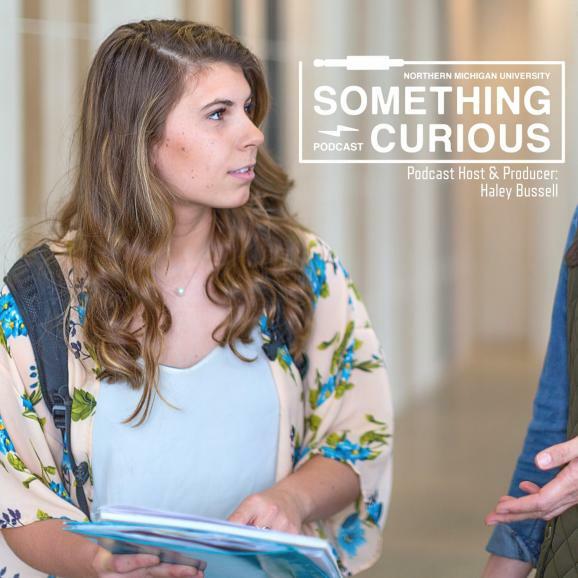 NMU recently unveiled Something Curious, a new podcast series targeting current and prospective NMU students. The podcast aims to connect community through conversation, highlighting aspects of the university and the Marquette area. This series will address subjects that relate to NMU’s core values: community, opportunity, inclusion, rigor, environment, connections and innovation. Haley Bussell, a senior studying public relations, started the podcast as marketing and production intern for the Marketing and Communication Office this past summer. While studying media trends, she found that podcasts were a relatively new trend at universities, but could provide an opportunity to connect with prospective students. Bussell will continue working on the first series covering the seven core values of NMU over the next year and looks forward to passing the podcast on to the next generation of NMU students. “I feel very fortunate have an idea, and be able to actually go out and have rein on creating something new. I think it’s great that the Marketing Department allows students to have an idea and instead of shooting it down, encourages them to do it. Having their support in creating this new project was a game changer and it’s a creative project I really appreciate being a part of,” Bussell said. The Something Curious podcast is available at https://www.nmu.edu/mc/nmu-podcast or iTunes.